Posted 22 November 2018 . Some of Sydney's finest choirs will create the perfect festive soundtrack to entertain shoppers and visitors in the city this Christmas. 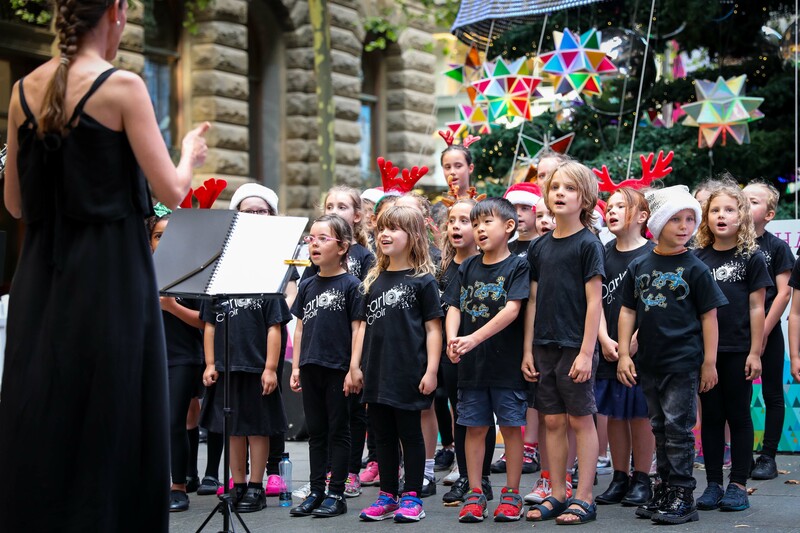 As part of the City of Sydney's month-long Christmas program, carollers and choristers will keep the festive spirit alive with performances in key shopping precincts from 24 November through to Christmas Eve. 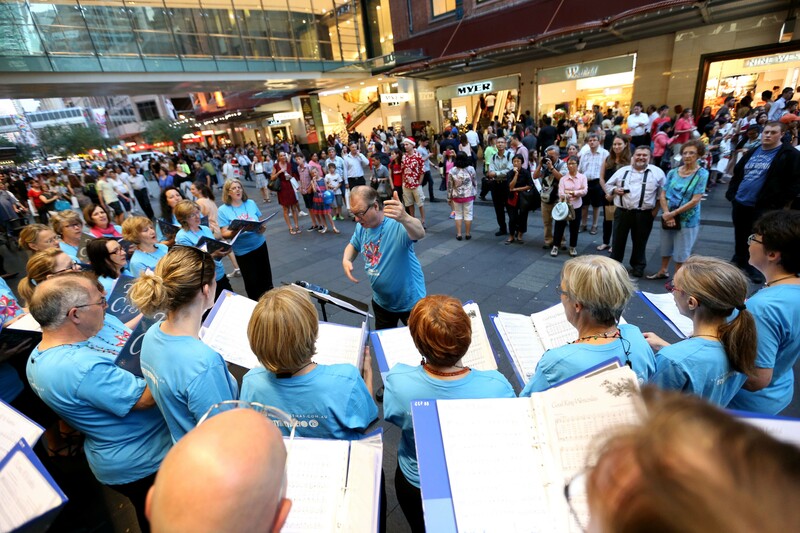 Renowned choirs like the Sydney Philharmonia Choir and Australian Girls Choir, will perform beside the new Christmas tree in Martin Place every weeknight from 6pm-8pm and on weekends from 7pm-8pm. 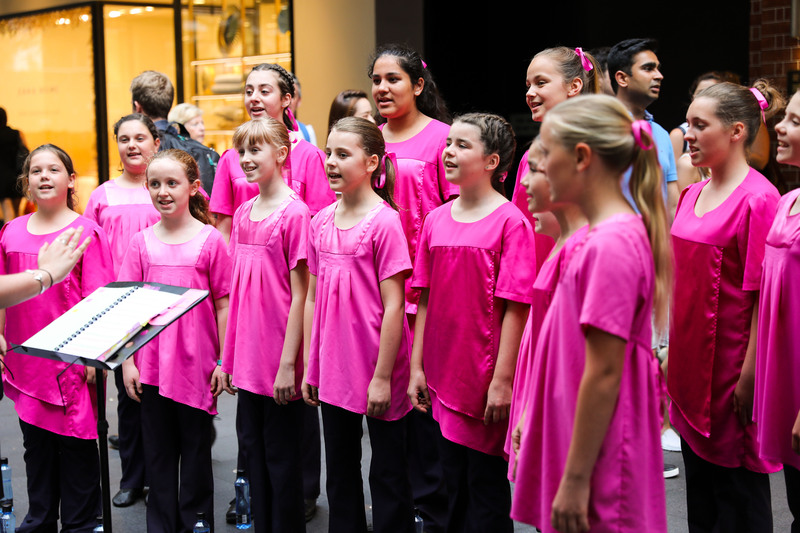 The strains of traditional Christmas carols will fill the air in Pitt Street Mall with choirs performing on Thursdays from 6pm-8pm and on weekends from 6pm-7pm. An overhead canopy of 94,000 twinkling lights will add to the festive ambience in Pitt Street Mall. "Carol performances, combined with our city's festive decorations, will help create a wonderful atmosphere and bring extra festive cheer to shoppers and visitors in the city," the Lord Mayor said. "The City works closely with retailers to make sure the Christmas shopping experience in Sydney's main retail precincts is as festive and fun as possible." Sydneysiders can also enjoy a night of carol singing, festive music and seasonal readings at the annual Christmas at Sydney Town Hall concert at 8pm on Tuesday 18 December.